Great service starts with having the best service equipment. The 24-pin PLQ-20 series is fast and versatile, with print speeds of up to 480cps, high-speed paper throughput that enables you to get far more accomplished in a short period of time. Output speeds are enhanced with convenient automatic sheet alignment, automatic print head adjustment and automatic page border features that enable problem-free printing, this not only equates to increased productivity but improved customer satisfaction and reduced cost as well. The PLQ-20 series printers are not only the ideal choice for passbook printing, their versatility also accommodates a wide variety of printing needs. One of the key advantages of the PLQ-20 series is the ability to print on a variety of media that is used in financial institutions and government departments. These include passbook of up to 2.6mm thick, banking slips, visas, forms, receipts, tickets and a variety of other official documents. Additionally, a myriad of options are readily available to suit a variety of business needs, including continuous paper feeding, cut-sheets and label printing. The printers also make multi-copy printing simple, with 1+6 copies of carbon printing for data archiving and duplicates. The PLQ-20 series printers are not only fast, they’re supremely reliable. Built to last, these robust printers will consistently perform in the most bustling business environments. They have a mean volume between failure (MVBF) of an astounding 7 million lines! This is further enhanced by a high mean time before failure (MTBF) of 10,000 power-on hours and a print head life of 400 million strokes/wire. 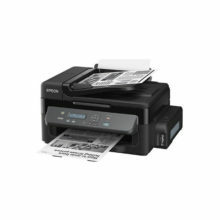 The PLQ-20 series of printers are powerful pocket sized packages. Taking up only a small amount of space, they are ideal for counter applications or environments where space is limited. A smart paper guide design, which bends forms or documents to be printed is another Epson ingenuity that saves space at the rear of the printer. Maximise your print area environment with the PLQ-20 series small footprint and optional space saving kit. It includes a top paper tray for storing forms, document and books. With its ESC/P2, IBM, WNI and Olivetti emulation, you can easily install the PLQ-20 series into your existing IT infrastructure. The PLQ-20 series come with Parallel, Serial and USB interfaces and can be connected via USB to wired and wireless network. This flexibility enables you to take advantage of specific solutions as your needs grow. The benefits of high productivity and low ribbon yield, coupled with low serviced maintenance, results in a much reduced Total Cost of Ownership. Ribbons on the PLQ-20 series of printers are longer lasting than conventional printers and need not to be changed before a considerable length of time. With a ribbon life of 5 million characters yields, the PLQ-20 series ensure enhanced Total Cost of Ownership when compared to typical printers that use ribbons that last for only 3.5 million characters. The PLQ-20 series smart features make operations fuss free. 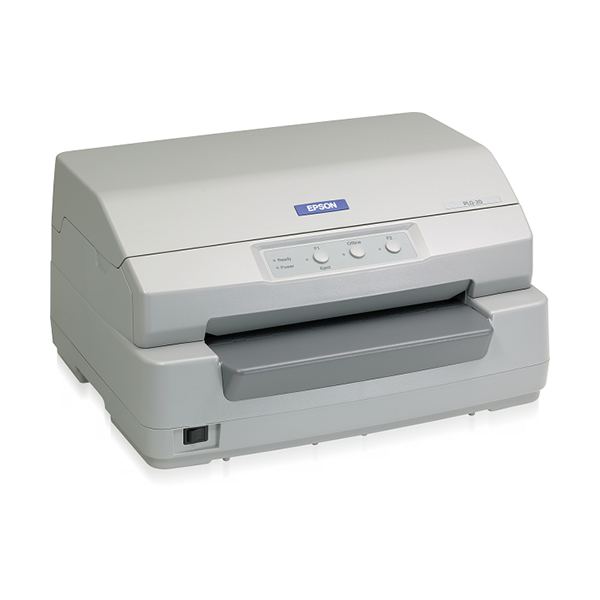 Automated functions on the PLQ-20 series always ensure consistent and trouble-free printing. These printers offer superior and enhanced offering user-friendly maintenance capabilities like the safe and simple ribbon changing procedure that makes it easy ti manage without the need for costly and time consuming IT support. The automated moving platen and roller equipped print head enables the PLQ-20 series accept a variety of media thickness. Auto Sheet Alignment Photo Sensors detect and automatically instruct the Paper Feed Roller to realign any mis-fed documents. A paper width detector intelligently enables printing on the same distance from he paper edge wherever the paper is set within the paper tray. Paper widths are also automatically detected to ensure printing at the proper position on the fed materials. Software and devices that carry the Works with Windows Vista logo have been tested for baseline compatibility with PC’s running.